Yesterday was the last days racing for the 2017 O’Leary Life Sovereign’s Cup in Kinsale, and it was as always a great event with top quality racing across all classes. This year’s winner of the Sovereign’s Cup was Robert McConnells Fool’s Gold from Dunmore East SC with the luxury of discarding a first place. But RCYC featured strongly with boats representing the club in Class 0, Class 2, Class 3, Class 4, Non Spinnaker 1 & 2 and 1720 European Championship. In Class 0 Conor Phelan’s Jump Juice had a very hard battle with there now regular sparring partners on Dark Angle from Wales (helmed by Robert O Leary) to finish 2nd in IRC by just 3 point after 6 races and 3rd in ECHO. In Class 2 we had two RCYC boats, Paul & Deirdre Tingles Alpaca and Kieran Collins new Olsen 30 Coracle VI. It was a very competitive class an it really did come down to the wire with Kieran Collins and crew on Coracle VI losing out on 1st overall in the last race by just half a point to Finbarr O Regan on Kinsale boat Artful Dodger while Alpaca missed out on 3rd by again just half a point from Howth YC crew on Equinox. Coracle VI did manage to win ECHO overall and was also awarded the Portcullis Trophy for the best performing boat in ECHO. In Class 3 Frank Desmond, Peter Deasy & Mark Ivors on Bad Company had some really close racing with three X-302’s from HYC and after leading overnight on day one and winning two races out of the six they finished up 3rd over all in IRC and 4th in ECHO on count back and only 3 points of the win in ECHO. In Class 4 Dave Lane and Sinead Enright’s J24 YaGottaWanna and Lenny Donnery’s No Gnomes, were in battle with three modified quarter tonners and a number of Sigma 33’s. After the dust had settle and six race were done YaGottaWanna was sitting on top of the pile in IRC with a comfortable 5 point cushion, well done to Dave Sinead and the crew on winning their class. 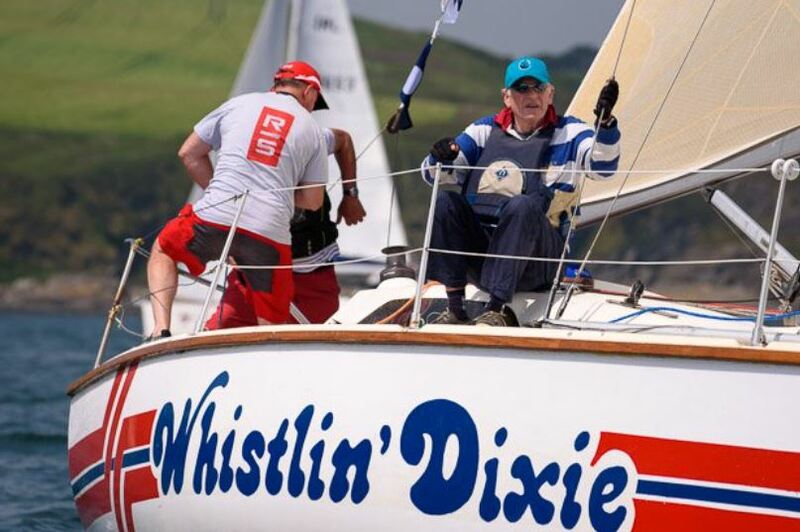 In the 1720 Europeans it was Anthony O Leary who did the business winning the title with a six point lead, while the second RCYC boat the duo of Tom Durcan and Clive O Shea were 3rd overall after 9 races. In Non Spinnaker 1 there was probably the closest racing of all the classes with just 2 point separating 1st to 4th. Denis Murphy was flying the RCYC flag very high all week and after making a great come back he unfortunately lost IRC on count back but did manage to win ECHO by 1 point overall. 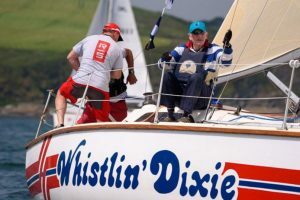 In Non Spinnaker 2 we had two boats competing, Tom McCarthy’s Whistlin’ Dixie and Brothers Tom, Declan and Donal O Mahony on Loch Greine. Tom McCarthy was 3rd in IRC and 6th in ECHO while the O Mahony Brothers were 3rd in ECHO and 4th in IRC. Thanks to all club members who competed at the O’Leary Life Sovereign’s Cup in Kinsale this year and thanks again to Kinsale for as always putting on a great regatta.